When you spot their icon on the tactical display, you know what that means. It means one of them is coming. Immediately you can feel it closing in. You hear its engine roar as it disengages the mufflers to let everyone know it’s approaching. You feel its thunderous, reverberating steps beating faster, louder. 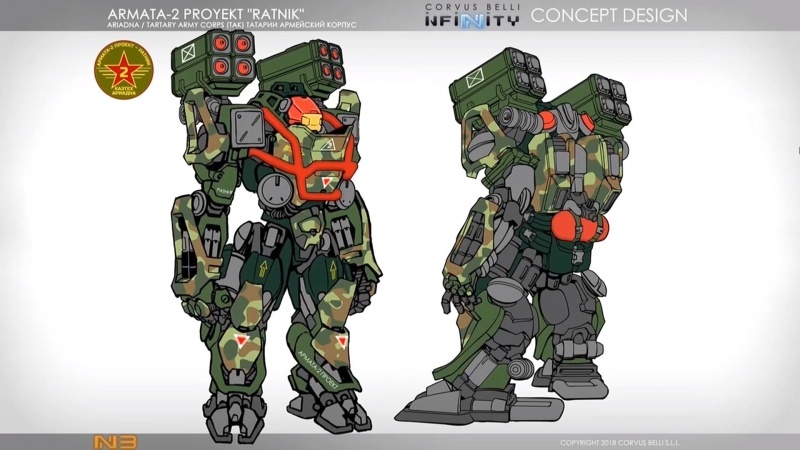 This is how a Ratnik appears on the scene, razing the battlefield with a rain of fire, a Teseum-clad colossus as massive as it is unstoppable. However, what ultimately renders the Ratniks unstoppable, what makes them veritable gods of war, is the fearlessness and determination of the Kazak soldier wearing the armor. It is the warrior tradition that courses through their veins that drives these titans as they emerge roaring at full blast to save the day.